We hate to break this news to you, Steve Harrington, but it looks like Nancy and Jonathan’s romance extends off the Stranger Things screen too. 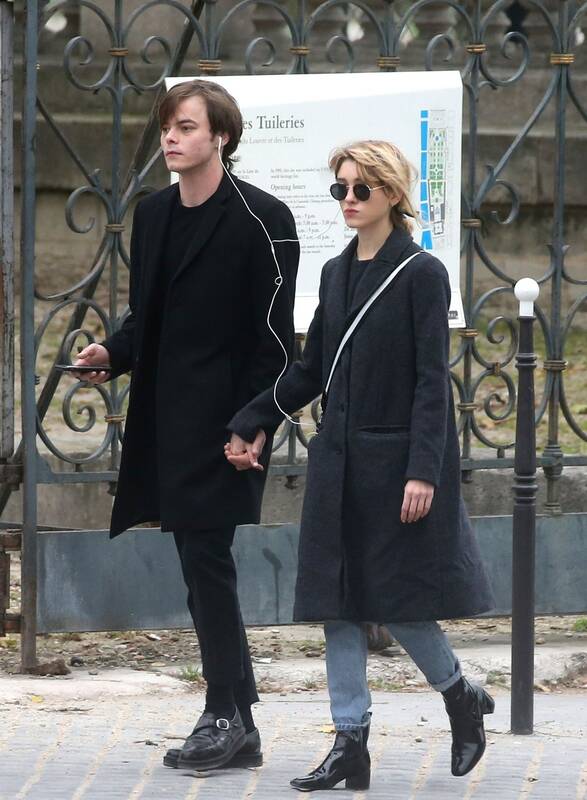 Yes, Natalia Dyer and Charlie Heaton were recently spotted sharing headphones and holding hands while walking down the street in Paris, so they’re probably not not dating. Of course, this could have been just a friendly handhold, but rumors of a potential IRL “Jancy” romance have been circulating for over a year despite neither of them confirming or denying their relationship. Back in March TMZ spotted Dyer and Heaton outside of LAX and asked them point blank if they were dating. Dyer answered, “Whether people are dating or hanging out, I think that our cast just is cool with each other.” She added, “I mean, I won’t speak for anybody else but it’s been, you know…We’re all one big family.” OK, but do family members hold hands in the most romantic city in the world? You be the judge. Whether Dyer and Heaton are officially an offscreen couple or not, we’ll just be here debating what we’re most excited about: to find out their fate in season three of Stranger Things or whether or not they’ll confirm their real-life relationship.